Keystone Corporation is well equipped to satisfy your tin-lead plating needs. Our facilities are well equipped to hand large or small parts in various sized barrels and racks. Contact us today! MIL-P-81728 is a plating specification for electro-deposited tin-lead plating. The composition of the plated layer should be 50-70% Tin by weight with the remainder composed of lead. Unless otherwise specified, either a matte or bright luster shall be acceptable. 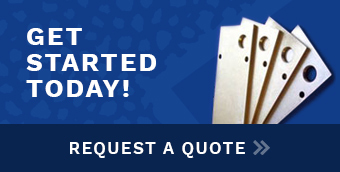 Unless otherwise specified the plating thickness should be between 0.0003"-0.0005". The adhesion of the plating shall be such that when examined at a magnification of approximately 4 diameters, the plating shall show no evidence of bubbling, foaming, blistering or flaking. Plated specimens or parts shall be easily and completely coated with solder when tested. The solder shall be deposited uniformly without lumps and shall be essentially free from evidence of bubbling, foaming or other defect.